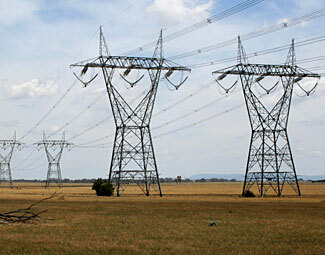 500kV power towers like these are unprotected and vulnerable to simple attack. Back in August, a person or persons unknown attempted to bring down one of the two 500kV main transmission lines feeding electricity into Arkansas and surrounding states. The loss of one of the two transmission lines would have overloaded the other line, causing it to also fail, and plunging a not disclosed region (but potentially several states) into darkness for an uncertain amount of time, and at one of the hottest times of year when electricity is desperately needed for air conditioning. The FBI now have a $20,000 reward for information leading to the conviction of whoever was responsible. Other attacks have occurred on our electrical grid in the past, and likely may continue in the future. And whether such events are merely mindless vandalism or indicative of darker forces really doesn’t make much difference when/if one suddenly finds oneself without power. The interesting thing about this attack is that it was not on a transformer or power switching substation. It was simply on one of the many thousands of totally undefended pylons from which the power lines are strung. Our country takes for granted that every time we flick a switch, power obediently flows as we wish it to. But this is far from a guaranteed thing, as the events in August show.